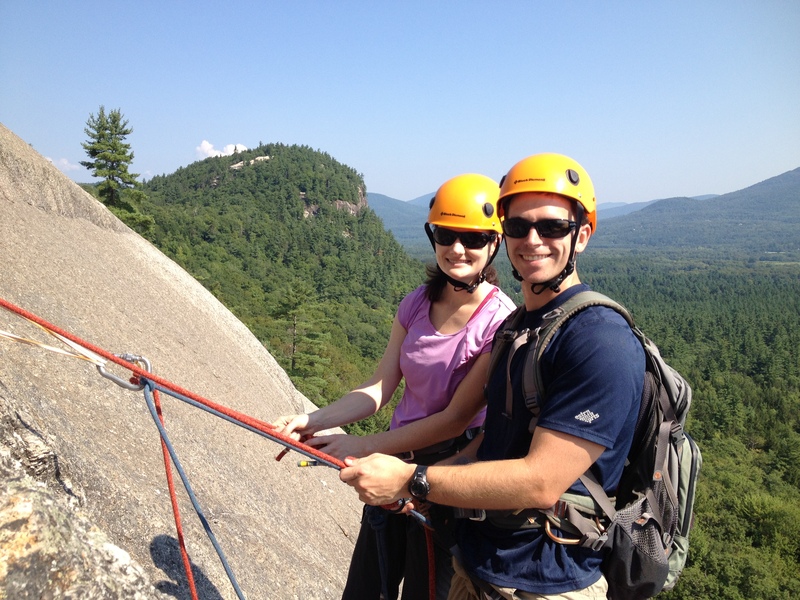 Laurel and Geoff drove up yesterday morning from Boston to get a little outdoor rock climbing experience before a trip to the Italian Dolomites next week where they are planning on doing some Via ferrata. Since Via ferrata is not very common in the US (almost non-existent) I showed them a via ferrata rig in the climbing school and the basics of use before we headed off to Whitehorse Ledge for some free climbing. We caught up to a couple parties that had started before us at the spacious “Lunch Ledge”. 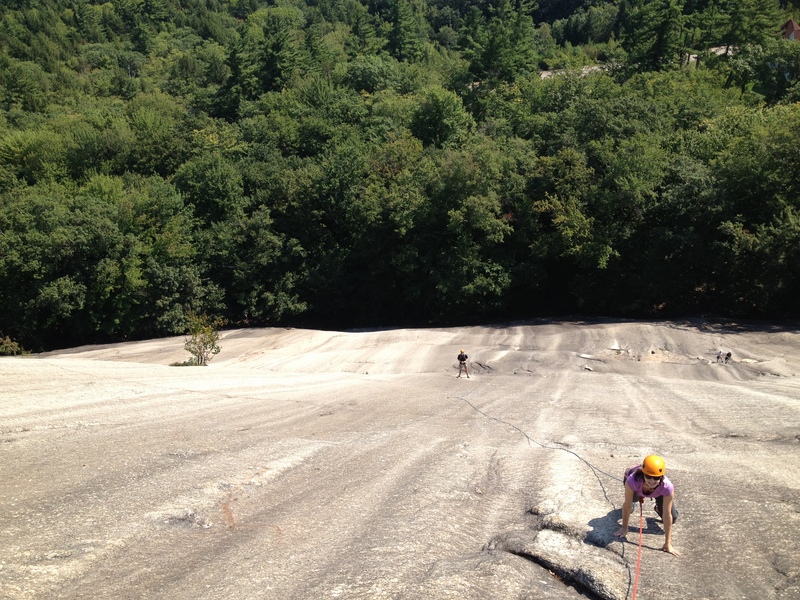 Here we planned to rappel in order to spend the afternoon climbing some steeper crack climbs in the shade. 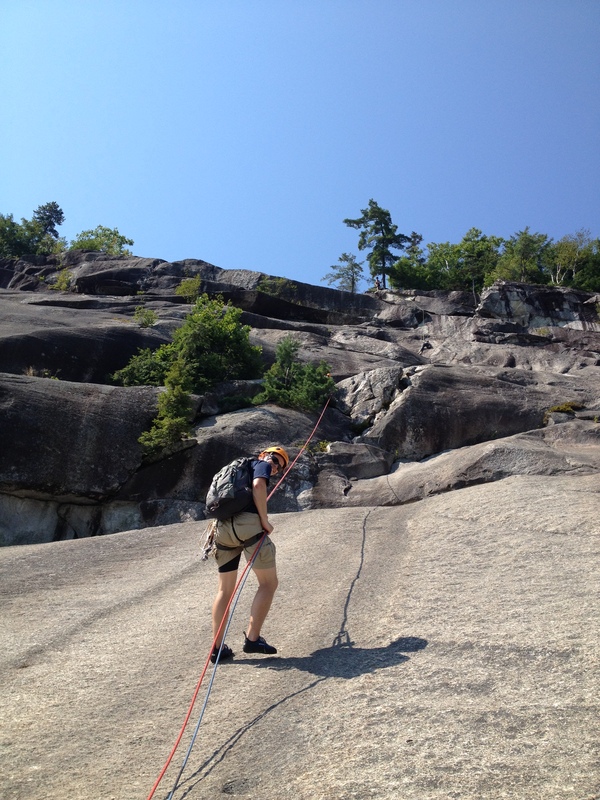 After pre-rigging the rappel we began our descent. After we reached the ground we took a break for some lunch and water, then made our way over to the Ethereal Buttress area. 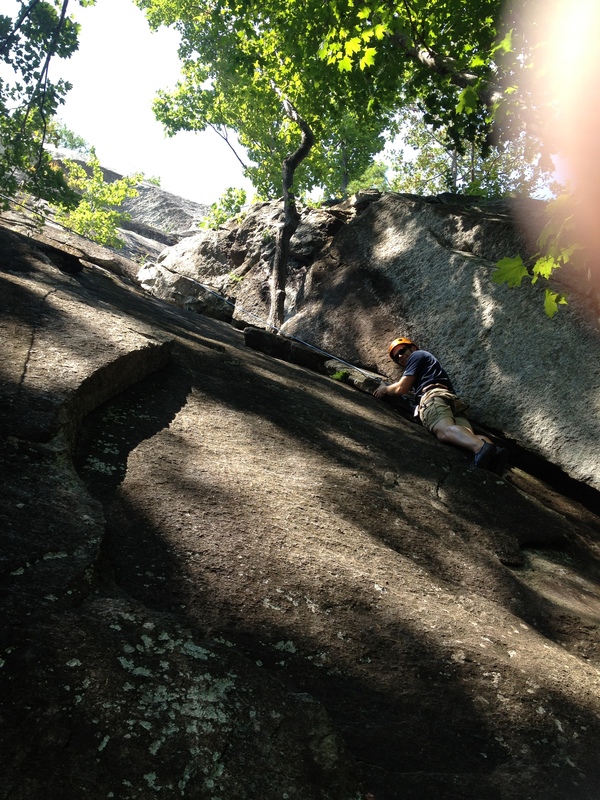 We started contrasting the difference between friction slab climbing and crack/corner climbing on the fun short route, Beelzebub Corner. 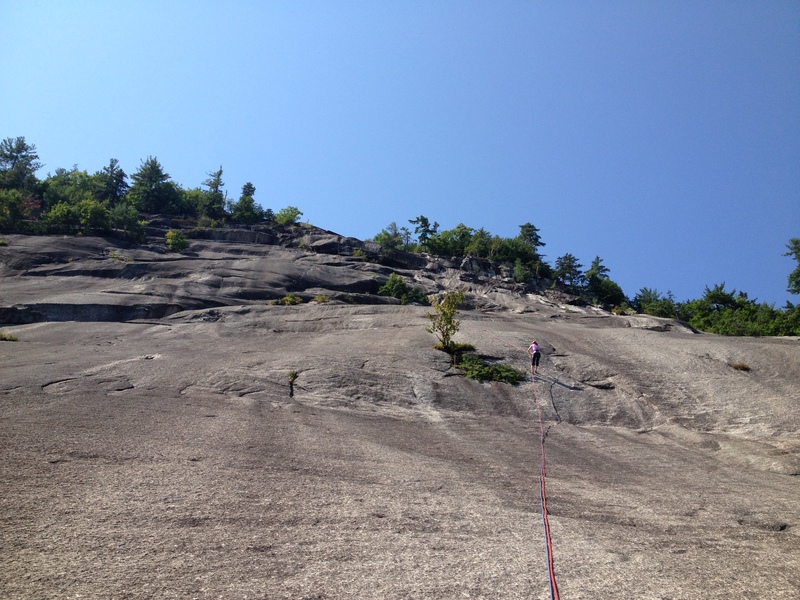 After everyone got a run on that we had some time left so I dropped the rope on nearby Seventh Seal, the thin 5.10 finger crack nearby. 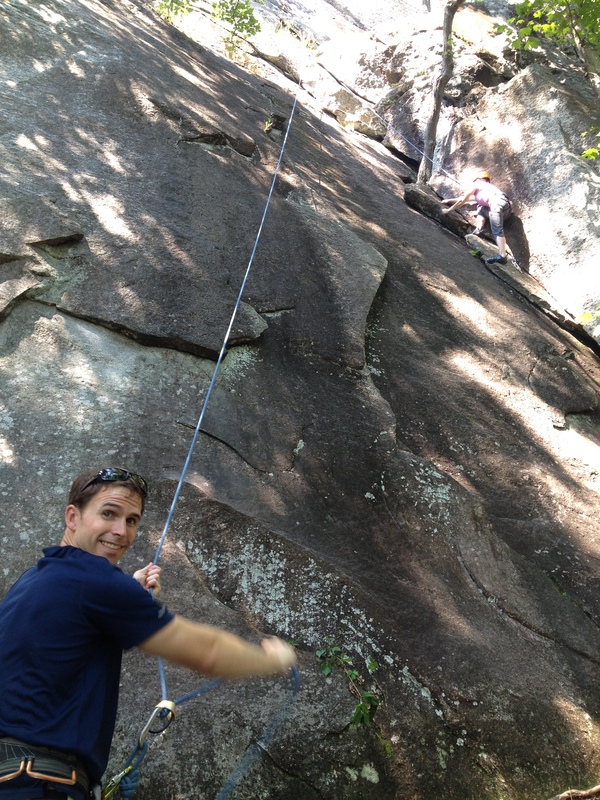 That proved an excellent challenge to finish the day on, and we were all pretty happy when we pulled our last rope. 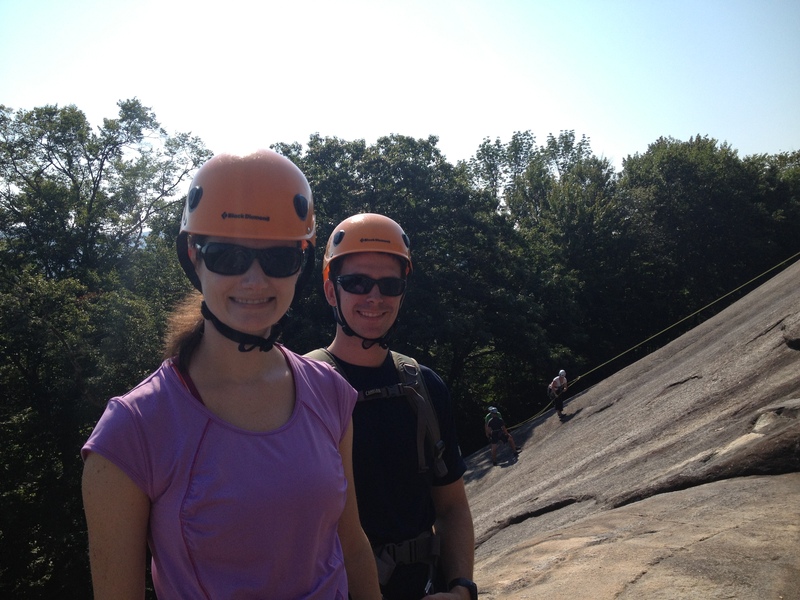 You were both great fun to climb with, and I look forward to hearing about the Dolomites trip. And the Norway ski trip that might become a reality! 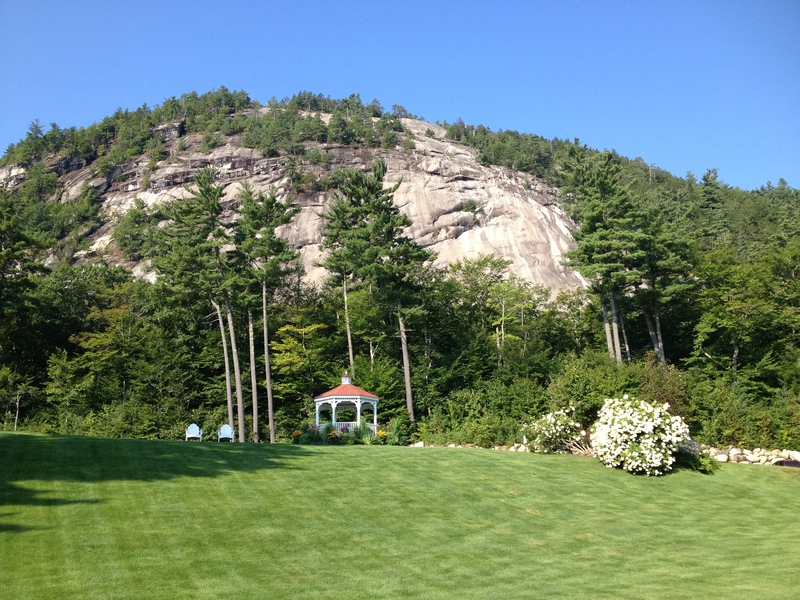 Looking forward to our next climb together!